If you are finding it difficult to ease into sleep or are irritable at night-time it could be that your bedroom surroundings are incompatible with a serene setting for a restless night’s sleep. 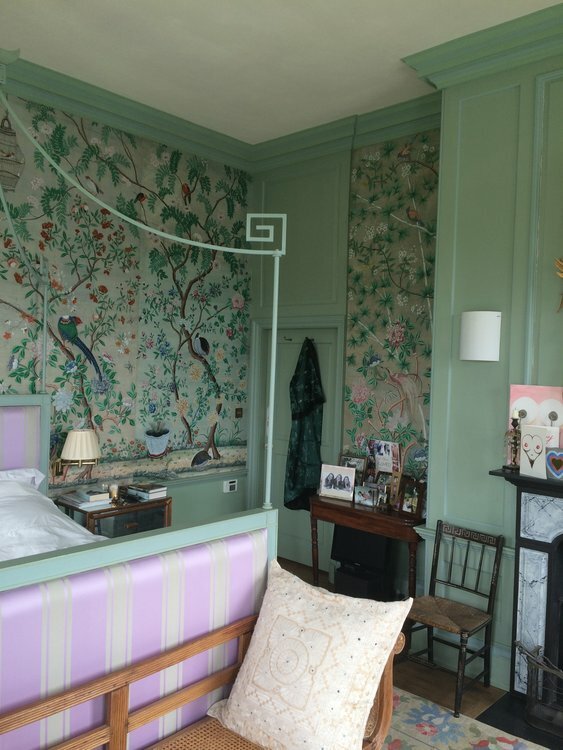 Sussex interior designer blogger, Emma Kewley, Director of Interior Folk gives her advice on setting the “sleep scene”. 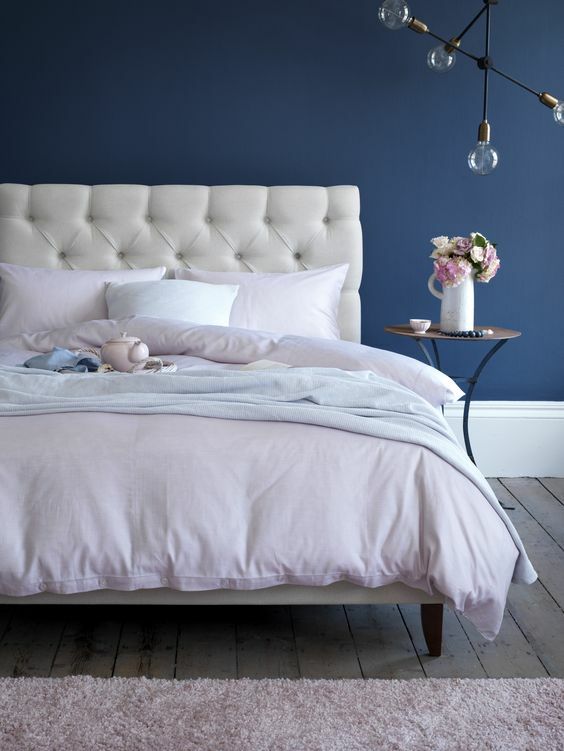 Given that the average person spends a third of their life sleeping, it’s hardly surprising that creating a restful bedroom is high on the agenda for many of us. Your bedroom is obviously going to be highly personal, but it doesn’t take long to realise that successful bedroom schemes have several key points in common. Your restful bedroom starts with a colour scheme – light or dark – drawn from a calming palette to create a soothing ambience. 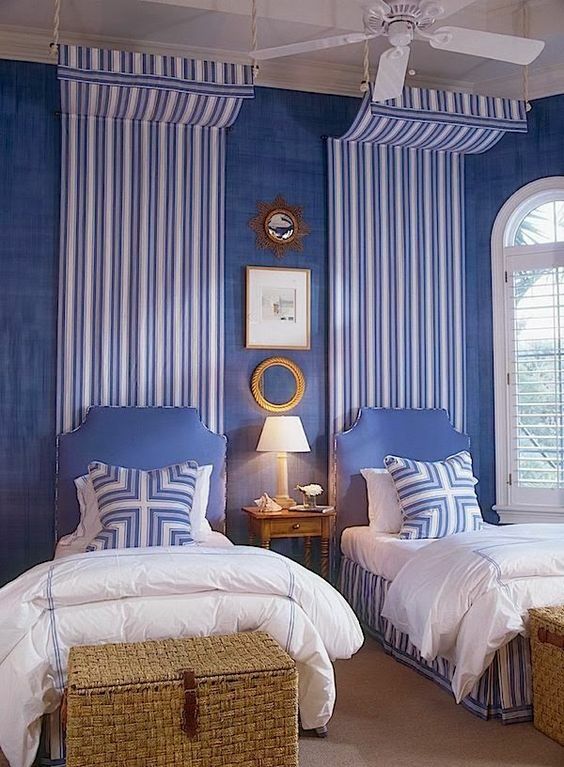 Maximal bedrooms with bold prints and clashing patterns are great for guest rooms and hotels, but remember you have to sleep here every night. 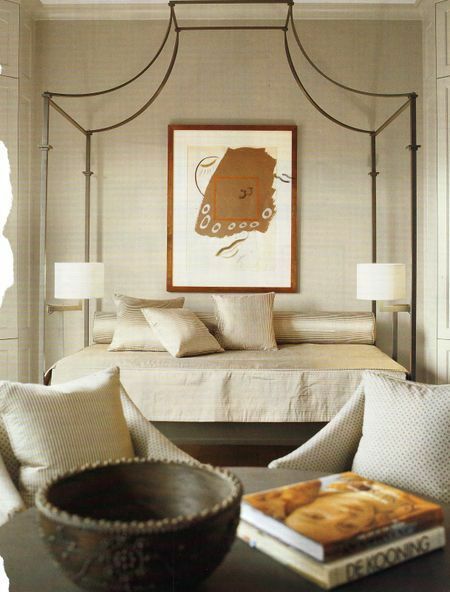 Once you have nailed your calming palette, it’s time to think about furniture and furnishings. Upholstered headboards are instantly comfortable and having one made in your own choice of fabric is an easy way to individualise your space. Patterns can work well, but mix with plains to avoid being too busy. Adding more upholstered items is going to boost that inviting, soft feel. 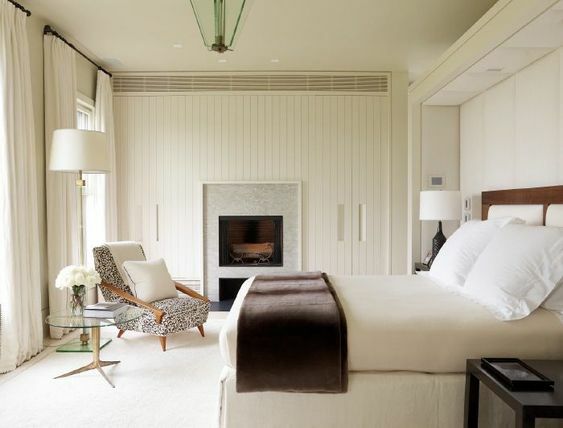 Think upholstered benches or ottomans at the foot of the bed, armchairs and stools. Using different fabrics to add layers of texture and colour can also help make your space feel ‘furnished’. Curtains and fabric roman blinds soften windows and maintain the feeling of warmth. Dress or mock curtains can give the look without the hassle of full curtains and use less fabric. Mattress suppliers will tell you to spend as much as you can afford and I must say I agree! Button and Sprung abstain foam and instead use lambswool, cashmere and silk. Use of these materials allow the mattress to breathe and wick perspiration and moisture away from your body. Sumptuous. 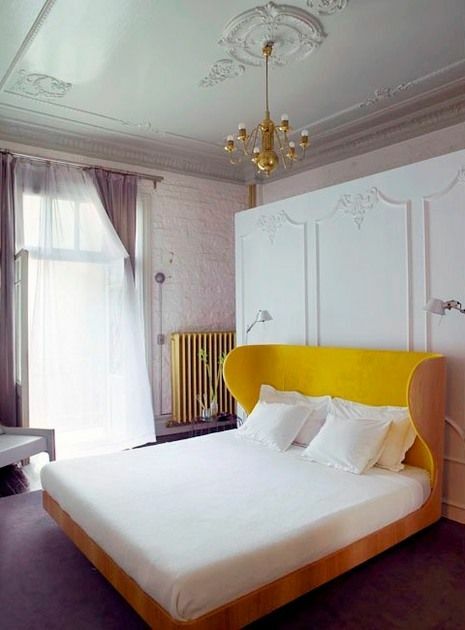 Marry your mattress with clean, crisp white bed-linen made from the finest Egyptian cotton. 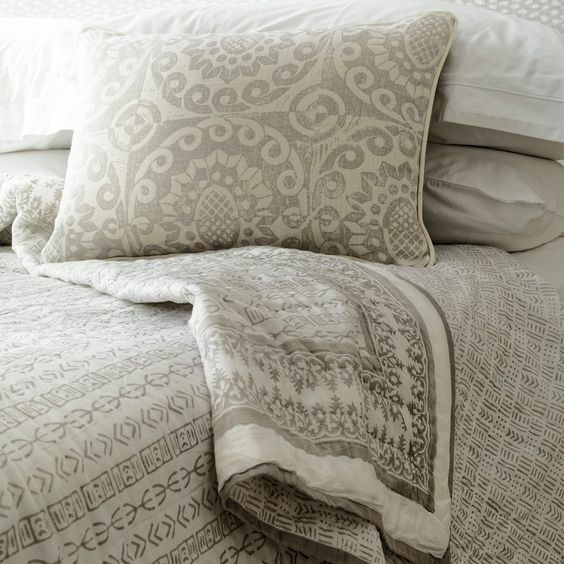 I love the selection at Heirlooms Fine Linens, with classic designs that can be finished in range of colours. 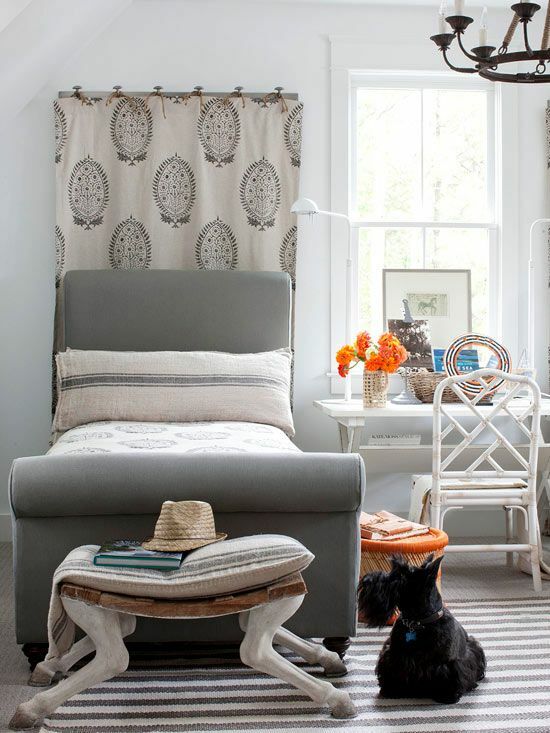 Use throws and cushions to introduce further layers, texture and patterns. Bolsters, rectangles, and other cushion shapes from your colour scheme look lovely. Artificial light cuts the production of sleep hormone melatonin. 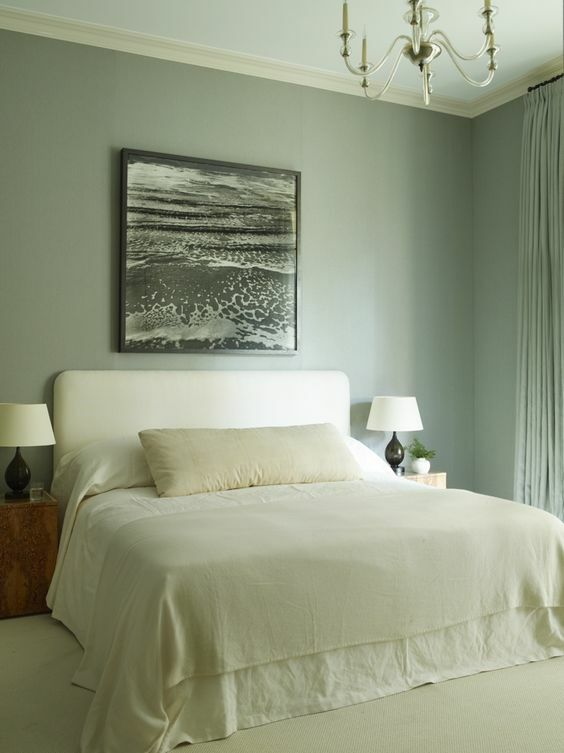 Give yourself different lighting options in your bedroom for different times of the day. 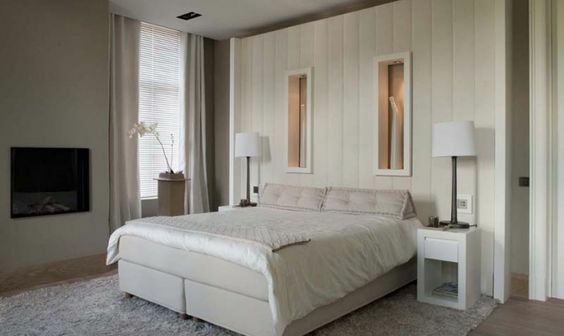 A central chandelier or shade can add drama and provide a focal point for a bedroom but make sure you mix it with smaller bedside lights, floor lamps and desk lamps to give individuals pools of light and patches of darkness as sleep time approaches. There is nothing more welcoming on a dark winter’s night than a fully carpeted bedroom floor. Feel under foot is important in your most cosy and intimate of rooms, and an expanse of wool-based carpet is many people’s flooring of choice. Bold patterns and colours can feature in the bedroom floor, but reserve these for rugs. Keep the colours and patterns muted such as self-striped wool and silk. 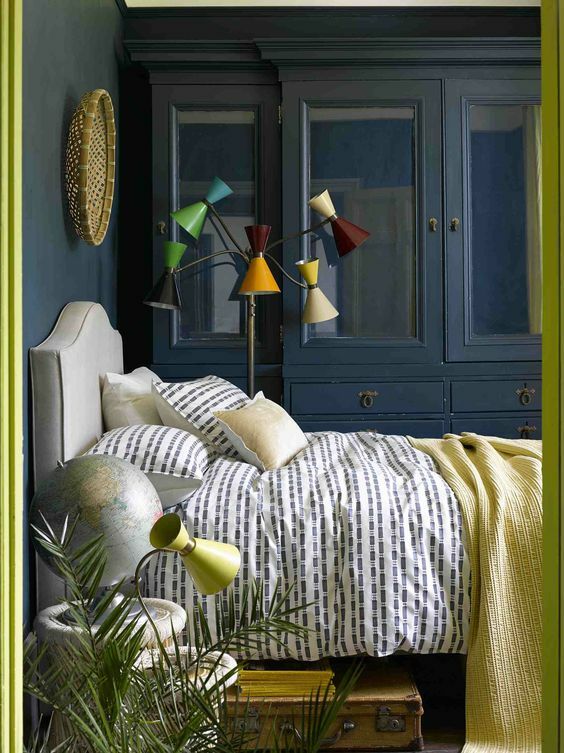 With a bit of planning, some carefully chosen colours and a few central items of furniture, a restful night’s sleep awaits.